If you’re keen to keep growing over the next few months, but are unsure what you can plant and when you’ll be able to harvest, then this little guide has all the answers. Growing in autumn requires less work and attention, and is well worth it for the supply of healthy greens over the colder months! You can choose any of our Autumn Veg Patches, which contain a mixture of different veggies suitable for different tastes and plot sizes. Autumn is a good time to grow all sorts of healthy, nutritious greens! 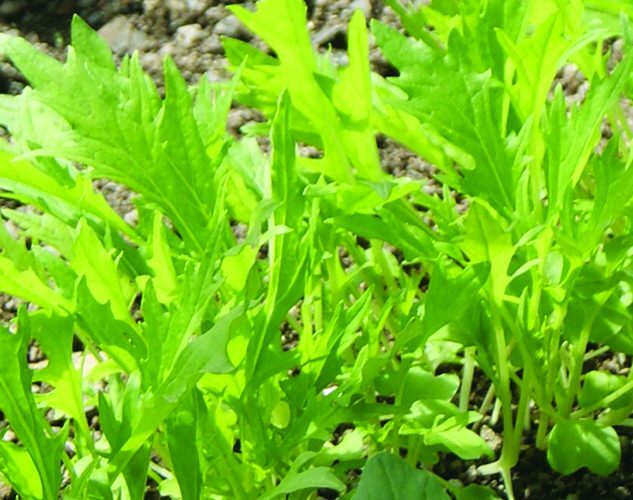 Salad lovers can enjoy tasty mustard leaves, wild rocket and winter lettuce varieties that are all suitable for the colder months. Oriental leaves like Pak Choi and Tatsoi are great to grow during the colder months as it is their natural ‘leafy’ season and they are less likely to bolt as they so often do in the summer months. They are great for quick stir-fry dinners too. Kale, Chard and Spinach will grow well over autumn and winter, and you should get plenty of leaves from them if using as a cut and come again. Winter Greens and Spring Greens can be grown for harvesting whole. You can also plant spring onions, some broccoli varieties, and even turnips in autumn, and they’ll provide you with a crop in the earliest days of spring. September and October are the months for autumn planting. We’ll be despatching from around the second week of September until around mid-October when the weather usually starts to get a bit cooler. Will it take up lots of time? Plants actually don’t need very much attention over autumn and winter, as pests and weeds are fewer and rain is more frequent! This makes it a bit easier for those who are off at work most of the week and unable to tend to their plots during the week, as you’ll only need to spend an hour or so in the veg patch at weekends. What you will need to allow for is a bit of time when you are planting as this can take a few hours, especially if you are putting up any netting or fleece tunnels (more on that in a moment). You will massively reduce the amount of time needed by applying a mulch at planting time as this will help to keep weeds, pests and disease under control. Other than that you’ll probably find that you can get away with doing very little other than popping down slug traps, checking that plants are ok from time to time and harvesting things as and when you want to eat them. We find we may spend an hour or two in the veg patch at weekends, but not necessarily every week. How do I care for my veg plants? Add a 5cm layer of mulch, ideally organic compost before planting as this will help to keep weeds down, will improve the quality of the soil and will help to keep the roots of the plant protected from frost/snow. Net cabbages, kales and broccoli to protect them against pigeons and cabbage whites. Unless you are growing things under cover (in a polytunnel/greenhouse etc) you probably won’t need to water them. Lay horticultural fleece over rows of veg or move pots under cover during frosty/snowy weather. Keep on top of slugs. Can I grow in pots? Absolutely! Growing in pots is actually a really good way of growing your own over autumn and winter as you can move them in and out of shelter as required, and it can be a bit easier to keep slugs at bay. 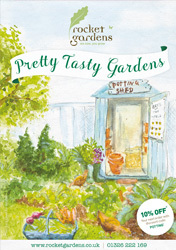 You can grow any of the autumn/winter crops in pots, containers and grow bags so just go for it! When will I be able to harvest? Most of the leafy veg will be able to be harvested as cut & come again throughout the season, from November onwards, particularly if you’re growing under cover or are in a milder part of the country. You’ll find that growth slows as the temperature drops and the days get shorter. Winter greens should reach maturity in December/January, whilst Spring Greens and Spring Onions will be more like February/March. Broccoli should start sprouting in early spring, hopefully the end of March/early April.